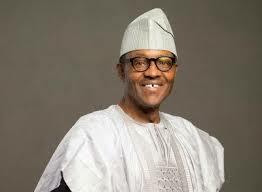 President Muhammadu Buhari will leave Abuja on Thursday for Malta to participate in the 2015 Commonwealth Heads of Government Meeting which begins in the island nation on Friday. Special Adviser to the President on Media and Publicity, Mr Femi Adesina, said this in a statement on Wednesday. The Commonwealth is made up of Britain, Nigeria and 51 other countries that work together to pursue common goals and promote development, democracy, peace, security and good governance. Adesina said Buhari and other Heads of State and Government were expected to deliberate on fresh Commonwealth initiatives on development and climate change with a view to adding greater value to ongoing global efforts in these areas. He said a new Secretary-General of the Commonwealth who would take over from the incumbent, Kamalesh Sharma, would be announced at the summit which would also feature the presentation of a progress report on the eradication of polio. He said the Head of the Commonwealth, Her Majesty, Queen Elizabeth II, would formally declare the summit open and host a banquet in honour of President Buhari and other participating Heads of State and Government. He said at the conclusion of the summit on Sunday, President Buhari would leave Malta for Paris where he would present Nigeria's statement at the United Nations Climate Change Conference scheduled to open in the French capital on Monday. Adesina said the president would join over 100 other world leaders at the Leaders Event on the opening day of the conference which would be hosted by President Francois Hollande of France and the Secretary-General of the United Nations, Mr. Ban Ki Moon. He said Buhari would also participate in a summit of the Heads of State and Government of the Lake Chad Basin Commission and Benin Republic which had been scheduled to take place on December 2 in Paris on the sidelines of the United Nations Conference on Climate Change. He said deliberations at the Paris meeting of the Lake Chad Basin Commission and Benin Republic would focus mainly on the war against Boko Haram and other security issues of common interest to participating countries.